People decompress in many different ways — playing 18 holes of golf, sailing or going for a run. For me, Porsche is my Zen. 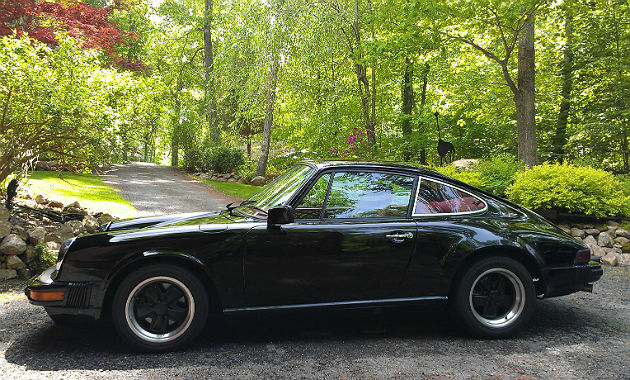 When I get into the driver's seat of my 1976 911S, my mood automatically changes. I clear my mind and revel in the ride. I focus on the road, and the rhythm of the wheels on the pavement becomes my meditation. The sound of the engine, the air in my hair and the salty smell of the Connecticut shore take me to a metaphysical place unreachable in any other way. How can you find Porsche Zen? Do one thing at a time — just drive. We possess so many technological gadgets that it's easy to chat on the phone, send text messages, read email or set up the GPS while driving. Don't. Focus on the experience. Concentrate on how the car feels and sounds as you accelerate onto a highway ramp or whip around sharp turns. My '76 makes it easy for me to drive without distraction. It's challenging to steady the steering wheel, shift, adjust the mirror and do anything else while behind the wheel, including something as "simple" as reaching across and cranking open the passenger-side window. Take time for yourself (and perhaps have a like-minded passenger join you). You don't need an excuse for a joyride. In 2014, we're constantly moving, powered by getting things done, going places and bustling through life at a rapid pace. Did you have a long day at work? Take the scenic road home. Open the windows. Turn up the radio. Enjoy the present moment. Allow yourself time to relax before rushing to the next thing on your schedule. Driving can be stressful and filled with tailgaters, slowpokes and people swerving into your lane while checking their cellphones. Shrug it off. Unless someone is being outwardly unsafe, you can't let their actions raise your blood pressure. Be patient. It won't take long before you can use the power of your Porsche and get out of the way. Turn detailing your Porsche into meditation. It can take hours to clean your car for your own personal enjoyment or to make it concourse ready. The repetition of washing, waxing and detailing can be tedious or cathartic, depending on how you approach the task. Set aside specific time to clean your Porsche, making sure you don't have another appointment immediately afterwards. Don't rush. Don't watch the clock. Find solitude in the motions. Noelle Talmon is a freelance writer with a passion for martial arts, vintage cars and motorcycles. She co-owns Moonlit Path Martial Arts on the Connecticut shoreline and has been running a successful Tang Soo Do program at an inner-city charter school since 2005. When not writing or teaching self-defense, she loves traveling to Iceland and other faraway places, tinkering with her 1976 Porsche 911S, and hopping on her Harley Davidson for an impromptu adventure.